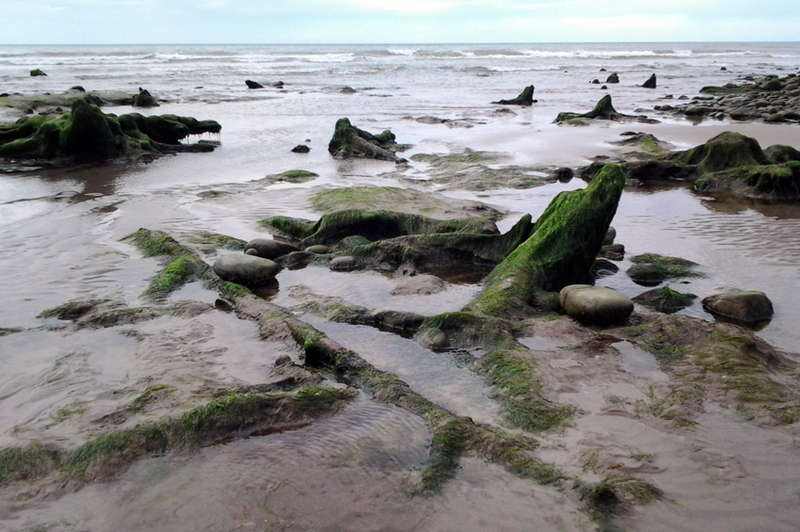 On Sunday 2 August, Natural Resources Wales and University of Wales Trinity Saint David organised a guided walk of the trees stumps and peat exposed by low tides at Borth as part of the Ynyslas National Nature Reserve events programme. Dr Martin Bates explained the evolution of the landscape, as it is becoming better understood by the ongoing research project being undertaken by the University. The forest comprises pine, oak, elder and birch which stopped growing between 4,500 and 6,000 years ago when it was inundated by the sea. 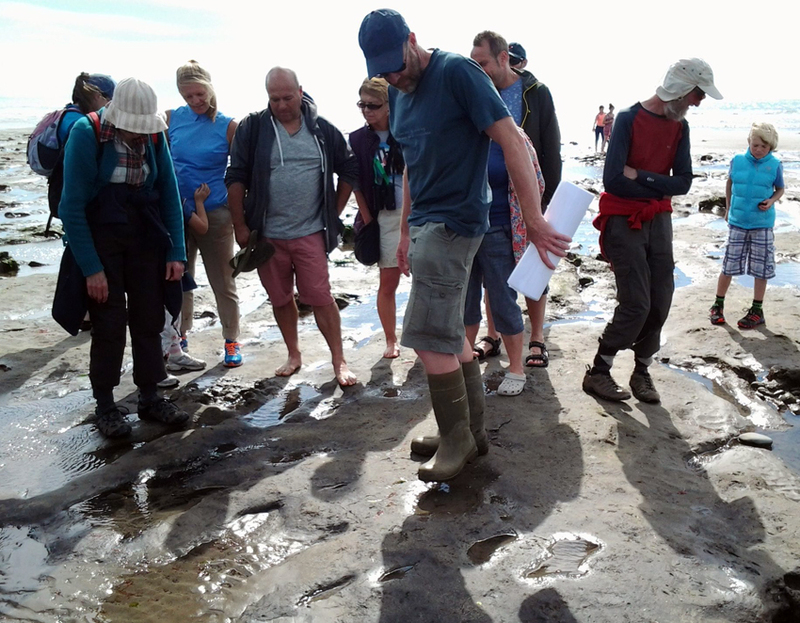 Down on the beach, participants were on the lookout for animal and human footprints also dating back to this period, when our ancestors were hunter-gatherers. 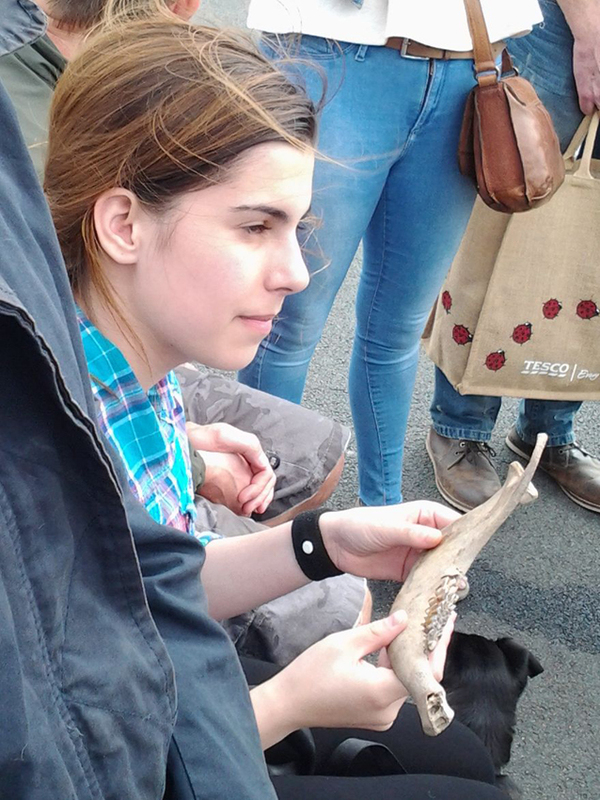 Dr Bates brought along some of the finds of animal bones – including the jaw bone of an Auroch, the extinct ancestor of our domestic cattle. He told the local story of another beach find, a huge Auroch skeleton, found by the local butcher in the 1960s. The University is still trying to trace this skeleton. If anyone has any information about other artefacts or animal bones found amongst the forest, I’m sure that Dr Martin Bates would very much like to hear from you.